PennsylvAsia: Maz receives enthusiastic welcome. 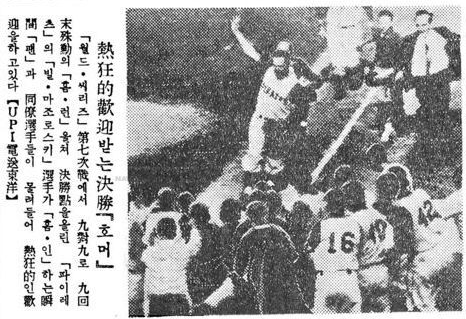 The Dong-A Ilbo covers the Pittsburgh Pirates' World Series victory on October 15, 1960. If you are interested in 20th-century Korean history but are easily prone to getting lost for days in old newspapers, avoid Naver's "News Library" archive.